Little, Brown and Company, 9780316505079, 304pp. Ever find yourself stuck at the office-or even just glued to the couch-when you really want to get out (for once), get to the gym (at last), and get started on that "someday" project you're always putting off? 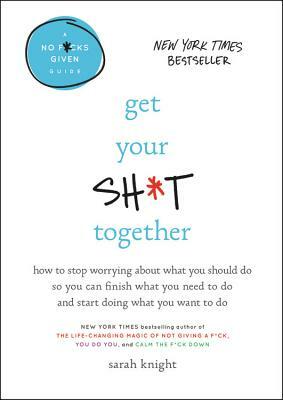 It's time to get your sh*t together. "An honest, prescriptive guide to skipping the self-sabotage and, frankly, getting off the couch and getting going on all those things you've always wanted to do but seem to perpetually put off."